Live chat can help improve visitor engagement, reduce bounce rates and cut operational costs by offering real-time interaction with customers whilst they are on your website. 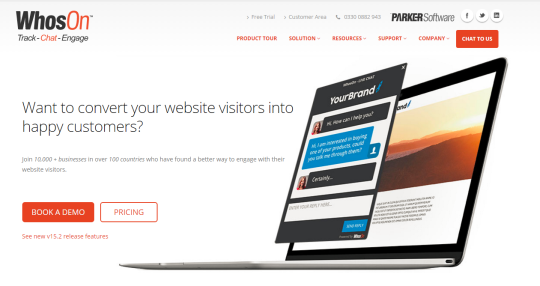 Why wait until visitors have left your site to try and contact them? Live chat is a key tool for conversion rate optimisation and helps to improve your conversion rate in real-time. Pain points – When a customer has a frustration or an unmet need, live chat can help resolve these ‘pain points’ by giving them instant access to a company representative. Web forms are common pain point for many visitors and so by adding live chat to forms you can often significantly improve your conversion rate. customer services using the live chat tool. This helps reduce visitors dropping out of key revenue generating customer journeys and puts the company representative in a good position to recommend additional products. It gives you a competitive advantage – Many websites don’t offer live chat on their websites or only for a limited number of customers (e.g. registered customers). Given the benefits to your customers and your organisation of integrating live chat across key touch points on your website you will be able to leverage it as a competitive advantage. 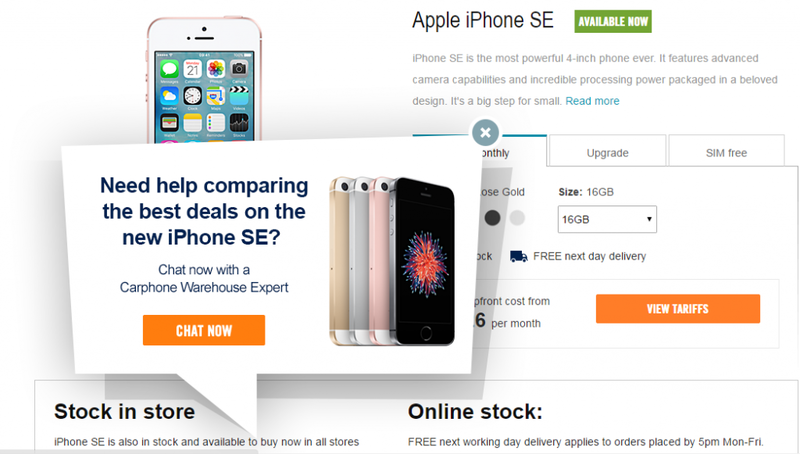 Ensure it is available for new customers, whether on your sign-up form or on your homepage as they often need more assistance than existing customers. they will be able to contact someone easily and conveniently if they do get into difficulties on your website. multiple chats. As staff spend less time on the phone because customers can use live chat to contact Customer Services this means that contact centre operators can multi-task during chat conversations and reduce the waiting queue significantly compared to a traditional call centre. Live chat allows you to gather feedback about your website – Having the ability to communicate directly with visitors whilst they are browsing your website gives you the opportunity to gather feedback on your website and generate ideas for improving the user experience and revenues. Live chat services can lead to a significant uplift in revenues to provide a substantial return on investment. Here is a link to a great infographic that summarises many of the benefits of live chat. All the providers listed below offer free trial periods and so you can test them out without making any financial commitment. 1. Boldchat: An enterprise chat software that offers innovative features including an automated, tiered chat routing that manages chats between agents and has extensive monitoring and reporting capabilities. 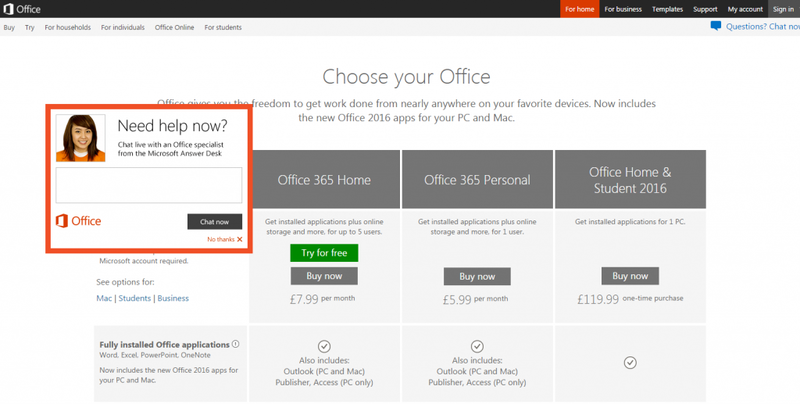 The open API allows surveys, chat windows and promotional pop-ups to be extensively customised. It allows agents to assist visitors to fill out forms, complete purchases in the shopping cart and access technical support. The dashboard also allows agents to see the customer’s referring webpage, keywords they used, their geographical location and their chat history. Free demo. 2. Click4Assistance: A fully customisable live-chat facility that offers a comprehensive range of features including extensive real-time monitoring, 1 or 2 way video chat, offer demonstrations, ask for feedback or gather leads, and design multiple fully configurable forms. Dashboard allows agents to view how visitor’s arrived at website, their location and much more. Offers full integration with CRM systems, social media platforms and Google Analytics. 21 day Free trial. 3. Crowdstream.io: A relatively new live chat solution that also offers light CRM functionality to proactively target customer segments according to their online behaviour. The chat button is customisable, with email alerts to keep you up-to-date with activity and you can even respond to messages when offline as Crowdstream will email you any messages whilst you are away. The solution allows you to create smart segments with triggers based upon customer behaviour and you can also broadcast messages in a non-intrusive way to all visitors or just to specific customer segments. The Starter plan (up to 2,000 profiles) is available for just £35 per month, whilst the Growth plan (up to 5,000 profiles) costs £75 per month. A Business plan (up to 25,000 profiles) is also available for £195 per month. All plans include a 14 day Free trial. 4. Liveperson: Offers an enterprise fully customisable live-chat facility including real-time monitoring, allowing chat windows and promotional pop-ups to be extensively tailored. Comprehensive dashboards at campaign-level for understanding how engagement is affecting your KPIs and operational level for how your agents are performing. 30 day Free trial. 5. Moneypenny: The UK’s leading small business telephone answering service provider also offers a live chat solution. It offers a 24 hour service and will email key chats directly to you so that you don’t miss out on any urgent business opportunities. 6. 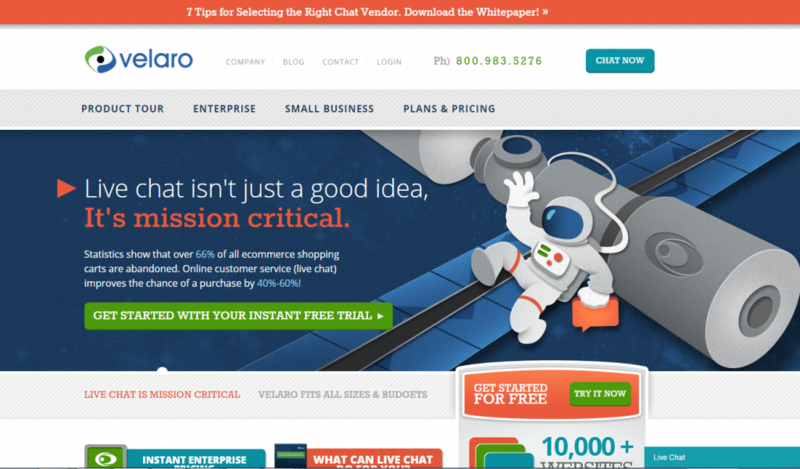 Velaro: Enterprise and small business live chat software which is fully customisable allowing chat windows to be tailored to your business needs. Extensive dashboard enables behaviour of visitors to be tracked and monitored to improve engagement. The missed chat report allows you to view a list of all the times a chat request was made and how an agent responded to the request. Monitor agent login activity using an agent login report which tracks when agents are working, on a break or actively chatting. Has a Free trial offer. 7. 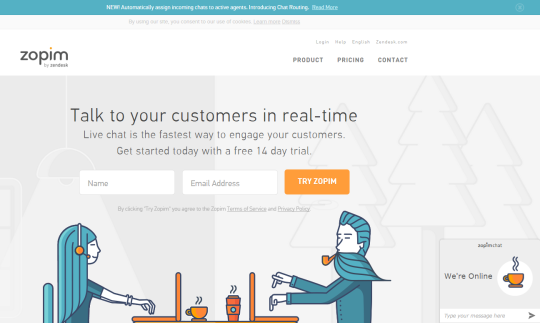 Vis.io: A comprehensive live chat solution that offers instant messaging and video calls. A single plan is available at just €9 a month with no limit on the number of visitors, tickets or calls. It also offers simple integration with full support. A free trial is also available. 9. Zopim + Zendesk: Offers a unique chat design along with a wide range of contact options to help build customer engagement. Zopim’s services also give you analytical tools for understanding your customers’ needs and making better business decisions. The chat window customisation options are limited to changing your window to match company brand colours. Live chat solutions offer a win-win situation. Free trails give you the opportunity to work out which one works best for you and customers get a simple and instant means of contacting you when they need your help. That is not to say you don’t have to put the policies and procedures in place to manage live chat. However, live chat does give you an opportunity to engage with customers when it most matters and encourages a two-way conversation so that both parties benefit. Thank you for reading my post. If you found it useful please share it using the social media button below. Is It Time To Kill-Off The Conversion Funnel? I do agree that live chat increases sales. I am using another service – http://www.limetalk.com/en/ and I am really satisfied.